It is ideal for gift packaging & typing bows on favor bags! 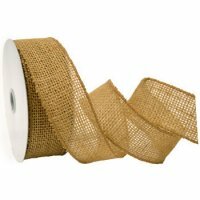 With 3 widths to choose from, this jute ribbon is fabulous for decorating gift packages, for holiday and wedding decor, bouquets and home design. The Ribbon Diva offers a complete line of natural products, including ribbon, wine & gift bags and fabric! 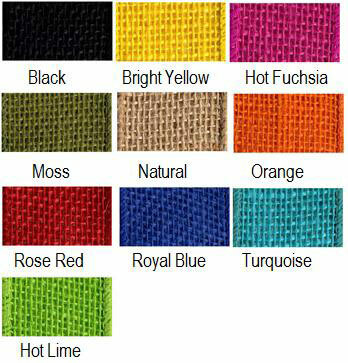 ....Please select Black Bright Yellow Fuchsia Lime Moss Natural Orange Rose Red Royal Turquoise .